The Cuban government should immediately halt repression aimed at silencing dissent before and during Pope Benedict XVI’s visit to Cuba, Human Rights Watch said. Dissidents in Havana, Holguín, Guantanamo, Matanzas, Palma Soriano, Pinar del Río, Sancti Spíritus, and Santiago de Cuba described to Human Rights Watch the repressive tactics currently being used by the Cuban government. They said that when they sought to exercise their basic rights to speak up about human rights concerns and hold rallies over the past few weeks, the authorities responded with beatings, detentions, harassment, and other repressive measures. 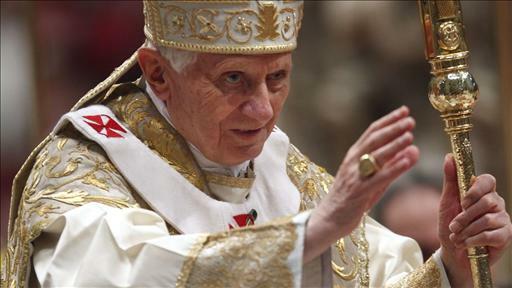 Pope Benedict XVI is scheduled to be in Cuba from March 26 to March 28, 2012, to visit Havana and Santiago de Cuba. State security officers arrested and beat 13 dissidents who were expelled from a Catholic church in Havana, where they had sought refuge while promoting demands to respect human rights in Cuba. Church officials asked government authorities to remove the dissidents, who told Human Rights Watch police threatened them with long prison sentences. More than 80 women from the Damas de Blanco (Ladies in White), a human rights group consisting of wives, mothers, and daughters of political prisoners, were detained when they attempted to march on the anniversary of the Black Spring. During that crackdown, in March 2003, the government sentenced more than 75 independent journalists, human rights defenders, trade unionists, and other dissidents to jail for an average of 19 years under draconian laws for exercising their fundamental rights. One of the damas described being held with 21 other women for more than four hours in a cell that was so tightly packed that all of the women had to remain standing. They had been detained for participating in a peaceful march, and were beaten by uniformed police officers and civilians in plainclothes before being taken to the police station, she said. Dissidents in Cuba told Human Rights Watch that government repression, surveillance, and threats have increased in the run up to the pope’s visit. Several of those interviewed told Human Rights Watch they had been denied permission to travel outside of the cities where they lived, as well as warned explicitly that they would be punished severely if they tried to carry out any “counterrevolutionary” activities during the pope’s visit. - Caridad Caballero Batista, 39, a Dama de Blanco from Holguín, told Human Rights Watch she had been detained on March 16 with her son, Erik Esteban Sández Caballero, 19, and her husband, Esteban Sández Suarez, when they attempted to travel to Havana to participate in marches commemorating the Black Spring. She said she was held in solitary confinement in a small, unsanitary cell without windows for three days. Her husband was imprisoned in a cell with common criminals, she said. He refused to stand up and salute guards as they walked by, as a result of which he was thrown to the ground and beaten. - Leticia Ramos, 42, a Dama de Blanco from Matanzas, told Human Rights Watch she had been arbitrarily detained three times in the last two weeks and warned that if she attempted to travel to Havana for the pope’s visit, she would be arrested. After a severe beating at the hands of police on March 18, she was taken to a hospital, where a doctor told her that she had a broken rib, which is causing her a great deal of pain, she told Human Rights Watch. - Rogelio Tavío Ramírez, 22, from Guantanamo, told Human Rights Watch that his father, Rogelio Tavío López, 48, had been detained since March 2. Both are members of the dissident group the Movement of Resistance and Democracy (Movimiento de Resistencia y Democracia). Tavío Ramirez said his father was charged with public disorder and “actions against the norm in the development of a minor” (acciones contra el normal desarrollo del menor) – a crime in Cuba’s Criminal Code that punishes parents and guardians for failing in “their responsibilities related to the respect and love of the homeland” – charges his son said were motivated by his political activities. Rogelio Tavío López has been on hunger strike since he was detained, his son said, to protest what he views as his unjust prosecution and the fabricated charges against him. - Obel Luís Ramos Acosta, 28, who founded a dissident group in Santiago, Cuba, told Human Rights Watch he was recently detained for handing out copies of the Universal Declaration of Human Rights and an independent – and therefore illegal – publication called the “Voice of the East” (La Voz de Oriente). He said he was held incommunicado and without charge for three days at a police station, where he was beaten and ordered amid threats to abandon his activities. On March 13, the 13 dissidents occupied the Basílica Menor de La Caridad – a Roman Catholic church in Havana. They told Human Rights Watch they had gone to the church hoping it would provide a refuge from which to issue a call for fundamental rights. Their call, which included demands of respect for freedom of speech, assembly, and access to information, would have led to their arrest and punishment if made in public, they said. According to the archdiocese’s news release, the dissidents left the church voluntarily when government authorities arrived. The archdiocese also said the Cuban government had assured church officials that the dissidents would be transferred to a police station and then to their homes, and that they would not be punished. However, four dissidents in the group told Human Rights Watch that dozens of police officers beat the activists inside the church, forcibly ejected them, and transported them to a police station. There, they were forcibly strip-searched in front of police officers, which they found humiliating and degrading. The dissidents said they were then shown a case file that featured their names and outlined charges against them, which authorities told them could be used to prosecute them under the Law for the Protection of Cuban National Independence and the Economy. That law punishes any action deemed to support, facilitate, or advance the objective of the US embargo on Cuba. Police warned the dissidents they could be prosecuted after the pope leaves. The dissidents were returned to their homes on the morning of March 16. They told Human Rights Watch that they have suffered persistent harassment by authorities ever since. Several of their family members have been beaten or threatened, they said. And on March 20, when the 13 dissidents were meeting in a home they use for gatherings, a police chief arrived and told them they would be arrested again if they did not immediately return to their individual homes. They said church officials have made no effort to contact them since they were expelled from the church and detained. Columnist Mary O'Grady on the Pope's visit to Cuba and decision not to meet with dissidents. Your false sense of tranquility is transfigured quickly. Could not withstand the challenge of state policy. He did not mind at all that the judgment was supported by twenty Heads of State or Government. He thought that angry and yell insults against the president of a nation would slow the resolution condemning the terrorist group ETA. These unusual events occurred during the Tenth Ibero-American Summit in Panama in 2000. Starring the irascible and profane President Fidel Castro. The victim of unjustified verbal, Salvadoran President Francisco Flores. The latter, by deploying their Christian principles, followed the advice of King Solomon: "Answer a fool according to his folly lest he be wise in his own eyes." All the deep knowledge acquired by Flowers in the universities of Oxford and Harvard in the U.S., more the domain of philosophical thought Hinduism, served to maintain equanimity and respond wisely profundad this despicable dictator who behaved like a madman. On many previous occasions Castro had used language in their diplomatic exchanges despotic and violated the civilized standards of conduct and protocol in its dealings with other heads of states. The most noticeable when the publicity given to private telephone conversation with President of Mexico Vicente Fox His attitude was treacherous revenge on the Mexican president who asked not to create an embarrassing situation with then-President Bush at the Monterrey conference in April 2002. When some think these are the characteristics of the temperament of the Caribbean dictator are not far from reality. But the tragedy is not just about his character but his ability to have printed the same kind of intolerance to a totalitarian system that has led more than half a century. In a related matter, on 16 February this year I was honored to testify at the Committee of Foreign Affairs of the House of Representatives, the Subcommittee on Africa, General Health and Human Rights. One of the things I discussed was my support for the independence of the Kosovar people. And claimed the same solidarity with the Cuban people in their struggle for freedom and democracy. This sincere and worthy desire, plus the strong criticism of the Stalinist dictatorship that oppresses castro my country, unleashed in the faithful spokesmen of the regime a number of comments not only false that distorted my statements but even the world history. "Tomorrow we will celebrate with pride the fourth anniversary of the independence of Kosovo. Five years ago you Americans promised him the strong support for Albanian independence. They did it with such conviction, honor and love that many countries joined in this just cause and triumphed. " "This is the support that I ask of you to my people be free and sovereign." The Yeomen of the tyrannical regime have been saying that the U.S. Congress asked the military intervention in Cuba a la Kosovo or bombing my country like NATO to Serbia. To reinforce that idea tildarme went as far as mentally ill as did his Fuhrer Fidel Castro in 1999. Although baseless all these words are said to confuse and stifle the hopes of freedom of the Cuban people live under the constant lies and deliberate misinformation of the Castro government. These parrots underpaid should know that history can be twisted to benefit the whims of despots because it would be itself without its scientific foundations. Let's see. In the historiography described here there are two moments on Kosovo independent of each other. The first related to the Kosovo War in 1999, and the other with its Declaration of Independence, in 2008. Slobodan Milosevic was president of the Federal Republic of Yugoslavia, comprising Serbia, including Kosovo and Montenegro, 1997-2000. He was a communist and based its power on the Serbian nationalist exaltation. Her dreams of creating the Great Serbian Empire and the Great Serbia were frustrated to see the disintegration of their nation. Moreover, the Federal Republic of Yugoslavia consisted of six autonomous republics (Slovenia, Croatia, Bosnia-Herzegovina, Macedonia, Montenegro and Serbia) from 1945 to 1992. Milosevic revoked the autonomy of the province of Kosovo in 1989. The central government of Serbia began promoting a policy of terror and ethnic cleansing against Kosovo Albanians in 1998. In order to stop the carnage, the United Nations declared Milosevic guilty of war crimes, crimes against humanity and genocide. After the failure of negotiations to resolve by political and diplomatic ways this conflict, NATO and other countries intervened militarily in Yugoslavia between March and June 1999. Resolution 1244 of the Security Council of the UN gave the green light to stop the crimes of Milosevic maintained the status quo in the province of Kosovo in Serbia. A multinational force was deployed for peacekeeping in Kosovo (KFOR). The twenty-six NATO member countries and seven non-members of this pact formed the KFOR. As a result of this initiative, Milosevic was handed over by the government of his country to the Hague International Tribunal for the crimes charged in the conflicts in Kosovo, Croatia (1991-1992) and Bosnia (1992-1995). The process began in February 2002, but could not be concluded by his sudden death on March 11, 2006. This butcher of the Albanians and disciple Hitler, escaped the punishment of human tribunals, but not the condemnation of history, let alone the justice of God. DECLARATION OF INDEPENDENCE OF KOSOVO. In this period there was peace on this land. Kosovo's parliament declared independence unilaterally on Feb. 17, 2008, and formed the Democratic Republic of Kosovo. According to Hashin Thaci, prime minister, the republic is characterized as "democratic, multiethnic and non-discriminatory" and said "respect for minorities and human rights and citizens under the European convention of human rights." In 2007 President George Bush was received by the Albanian people in Fushe Kruje near Tirana. They promised the independence of Kosovo and entry into NATO of Albania. Both are realities today. The Albanians received him with much love and joy that the tyrant in chief of Cuba bother with this beautiful fact. The proposal for Kosovo's independence promoted by Bush, was supported by 69 countries of the 192 that make up the United Nations. And until February 10, 2012 the 88 countries supported. There were, however, contradictory situations like the fact that countries that participated in the military campaign such as Spain, Slovakia and Greece, no later acknowledged the sovereignty of Kosovo. Another unexplained event was that the Kosovo Albanians declared independence in 1990 was recognized only by their ethnic brethren Albanians. This is a town of religious Muslim majority and I think Bush, a true hero and he erected a statue in Fushe Kruje in 2011. In another of these strange events of history, the United States supported the independence of Albania in 1912, as opposed to predatory European powers did their best to erase the map of Europe to the Albanians. Likewise, the International Court of Justice in The Hague said the Kosovo declaration of independence did not violate international law, nor resolution 1244 the Security Council of the United Nations. Serbia with a new policy approach but has not recognized Kosovo, has stated that it was a legal process. Both countries are interested in joining the European Union. Russia, China, Iran, Cuba and a few others refuse to recognize that independence. Castro-Stalinist dictatorship has been involved with many events evil of mankind as the refusal to recognize the independence and sovereignty of the Albanian people, one of the oldest in Europe. But the spokesmen of the autocratic regime of Havana have never questioned why F. Castro had given him the highest distinction of the State Council, the Order of Jose Marti, the infamous character despised by their people as Nicolae Ceausescu, Eric Honecker, Robert Mugabe and Muammar Gaddafi. Senator Jesse Helms introduced the Law of Liberty and Democratic Solidarity with Cuba for approval by the United States Senate in the final days of 1995. To support their important proposal showed his colleagues a list with the signatures of several dissidents living in Cuba. I was honored to be among the pro-democracy activists who risked their lives to find political and moral support and a viable solution for the freedom of the Cuban people. He was also honorable and patriotic for me to provide testimony a few days directly to the Committee on Foreign Affairs and the Subcommittee on Africa, General Health, and Human Rights of the House of Representatives of the United States. I was glad to talk to congressmen intellectual and moral stature of Chris Smith, David Rivera, Albio Sires, and Mrs. Smith. It was also exciting to listen to my countryman and brother cause Hernández, as well as knowing the testimony in favor of the prisoners of the communist regime by that great friend of freedom of Cuba who is the representative Dan Burton. Despite several interruptions by phone calls cuts could explain our need for global solidarity and boost with refreshing blast measures leading to permanent changes designed to achieve democracy and freedom for all Cubans. To expose the importance of the Law of Freedom and its application without exception is a fitting tribute to the spirit of discretion and security of people not only in Cuba but throughout the world. From the moment I gave my first support for this law knew it would be a precedent and an essential barrier to prevent confiscation of property of a political and / or without compensation by any government in the world. This reaffirmation of support from the moral positions, political, ideological, economic contained in the presentations of numerous academic and scientists of international renown. Jaime Suchlicki, Professor of History and Director of the Institute of Cuban-American Studies at the University of Miami, told the Senate Finance Committee of the United States that lifting the trade embargo and travel ban to Cuba not report benefits of transition to democracy to the Cuban people. The title of his testimony was: "The impact of lifting the embargo and travel ban to Cuba." It was featured on December 11, 2007. Only I will refer to his conclusions and I invite you to read it for its great importance. "The embargo is not the cause of Cuba's economic misery. What suffocates the Cuban economy is a failed economic system similar to what existed in Eastern Europe and the Soviet Union, and lack of productivity and incentives. " "Tourism will not take American democracy to Cuba. During the past decade hundreds of thousands American tourists, Canadians and Europeans have visited the island, but Cuba today is not democratic but totalitarian in any case because the state machinery and its control have been strengthened by the influx of tourist dollars. " "Limited economic reforms took effect in Cuba in the early 1990's. Castro reforms ceased once the economy began to stabilize in 1996 as a result of tourism, foreign investments and remittances of money from Cuban exiles. " "The embargo and travel ban should remain in negotiating with a future government in the island. Deleting not received any significant concessions in return, the U.S. will be without any influence on events in Cuba. " "They should keep the embargo and travel ban on Cuba until there is a regime willing to grant concessions irreversible human rights, democratization and market economy. Castro brothers give concessions unilaterally without any real changes on the island is a gift that they do not deserve or have earned. " Gene Sharp, Ph.D. in political science and director of the Albert Einstein Institute in the United States, has written many books on civil disobedience or nonviolent civic struggle. This intellectual scientific icon nonviolent mass political defiance. Those who want to break up a tyranny with nonviolent methods should study his book "From Dictatorship to Democracy." I am sure that, through its domain and implementation, the Cuban people can open up paths of freedom in the course of their actions not possible by any other method. Nonviolent struggle is a technique that uses varied and complex political weapons, economic, social and psychological, applied by the people and institutions of society. Governments alone can govern when they have cooperation, submission and obedience of the population and other institutions of society. This in direct terms, there can be no government without consent of the governed. Therefore, the political challenge is the ideal instrument for denying access to the scheme to these sources of power. Nonviolence requires on the one hand, citizens who have lost their fear and gained greater control over itself. This strengthens their effectiveness against the government and its brutal repression. This loss of fear, or control over himself, is a key element to destroy the power that dictators have on the general population. Keeping non-violent discipline against violent opponents facilitates the work of the four mechanisms of change in nonviolent struggle (conversion, accommodation, nonviolent coercion and disintegration). Method of Protest and Persuasion (54). Method of Non-Cooperation (social, 16; economic, 49, not political cooperation, 38). Nonviolent intervention method (how psychological, social, economic and political: 41). To increase the chances of success, resistance leaders will need to formulate a comprehensive action plan to strengthen the capacity of people suffering, weaken the dictatorship, then destroy, and eventually build a true democracy. Moreover, the Law of Liberty and Democratic Solidarity with Cuba and Helms-Burton is a paradigm of action for the American people with the Cubans. This law takes the non-economic cooperation on the part of governments that has several sub classifications: domestic embargo, blacklist merchants, vendors Embargo international buyers however, international trade embargo. Today there are favorable conditions for implementing the political cooperation not communist tyranny in Cuba such as denying the invitation to the Conference of the Americas until they respect the basic freedoms of its people. The dictatorial regime of Castro was in total collapse that led to the paralysis of the country to disappear their economic and political supporters of the European communist camp in the early nineties. Given this irreversible crisis currencies were provided by capitalist countries that saved the Castro regime and its failure lasted for two decades. Today, despite Chavez's Venezuela is the main financial supporter along with China and various nations of the Western world, the Cuban economy is in stagnation and the edge with possible collapse will be reflected in all spheres of social life . The supporters of the dictatorship of Havana should think more about the Cuban people and imitate the most successful man among entrepreneurs in real estate in the world, Donald Trump. Fidel Castro invited him to invest with extreme facility unseen elsewhere in the world that violated the fundamental right of ordinary citizens. Trump rejection of the privileged business for not exploiting the misery of the Cuban and further enrich the Castro. These are the real business people that uplift human life. This is the time to take the Reaganites postulates applied to the Soviet Union. An opportunity to compete in freedoms to overcome this horrible nightmare of the Castro dictatorship. In the same way for decades there are people who have stood by the Cuban in condemning his government by adhering to the embargo at the United Nations. The U.S. and Israel are the two nations that advocate for freedom and democracy in Cuba. All free nations should emulate these examples. These two countries make me recall the famous nonviolent activist Mahatma Gandhi: "In a matter of conscience, no place for the majority rule." The Castro dictatorship CAN NOT KILL THE HOPES OF THE CUBAN PEOPLE.